Your miracle is here this morning as the Holy Spirit has been teaching us all during the service, as we praised, prayed and shared a word. Our testimony is one of joy in the sweet presence of the Holy Spirit as He is teaching us. I am so excited what God is doing in this place; as we reflect on the goodness of God this past year. Ever since we have been here we have asked God for revival in our city. We as a church will no longer be programmed, but led by the Holy Spirit in our church and in our lives. Different churches and pastors have their agenda which is okay for them, but we choose to be different and allow the Holy Spirit to lead. It is time to be hungry and come expecting God to meet your need regardless of what it is. Our model may be different but the Holy Spirit is diverse in operation. Our desire is to have 24 hour prayer on Wednesday and other times as we are led. We have shared about the Holy Spirit and our desire for Him to be activated in all of the body. The book of Acts is for the church today and God desires to do wonderful things. I am reminded of a crazy man in the park who would break chains, but Jesus came and restored his mind. You have the power to release and deliver others through you. When you see distressed people, see them as God sees them. The Holy Spirit is seeking you to go out and demonstrate the power of the Holy Spirit. God is speaking to you to step up. Do you want to change the culture of our city? We must first change the culture of our congregation. Our culture must be one of prayer. The general body of Christ has fallen flat on this issue, but we must learn how to pray correctly over our city. Our hearts must be stirred to desire the lost souls to come into the Kingdom of God. Earnest prayer meetings have brought down the glory. As you pray, prophesy the heart of God’s will over our city. God is not willing that any should perish, but that all would receive the savior. Prophesy that hard hearts will become tender and minds will be receptive to receive the Good News that Jesus loves them and will bring freedom. First we must humble our selves and repent confessing our own sins, and God will hear and answer. God is calling - - - are you listening? Jesus stands in authority and has given us that authority and anointing to do His works. If you don’t know how to pray, just open your mouth and allow God to give you words. Sometimes the Holy Spirit will just groan without words, as you contend for souls. Consecrate yourself to become a vessel to pray God’s will. Jesus called his disciples and came to a mountain to pray. Often Jesus prayed all night alone to His Father. Jesus is our example. We pray in faith believing, and we may not see the answer right away, but it is important not to give up. Know that God has heard you and he is working on your request. Paul urged us to pray always; and the Bible mentions several ways to pray. 1. The prayer of agreement as two or more pray and agree. 2. The prayer of Faith, according to God’s will. Mark 11:24 when you pray, believe that ye receive, and ye shall have - -. 3. The prayer of consecration and dedication - - to commit to God’s will. 4. The prayer of praise and worship - - brings down the power of God. 5. The prayer of intercession - - for some one else. 6. The prayer of binding and loosening; bind attitudes not pleasing to God and loose attitudes that are pleasing to God. Bind the evil spirits and loose holiness and righteousness. You have the power to do this. 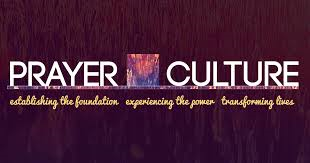 It begins with a culture and life style of prayer. We need to embrace a life of prayer. Spend time with God if you intend to change your world. God requires a willing heart and mind. If you seriously desire to see changes in your household and in your city, you must pray these type of prayer. Agree with one another for revival for our city. I challenge you to give one hour in prayer daily. You will begin to experience the fullness of God. Presented here is an edited lesson of our Bible Study at Open Door Church on Sunday. Our Bible Study on Sunday was full of lively discussion and comments as we studied more on John the Baptist. John’s message was one of repentance, and comments were given by several students. It is not enough to feel sorry but a change must occur. Peter wept bitterly when he realized he had just denied Jesus. The prophet Ezekiel said, God will remove the stony heart and give you a new heart that is after God and his will. The Holy Spirit will convict and reveal truth thus bringing us to repentance. 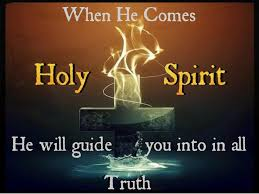 Jesus continued in John 16:13-14 when he, the Spirit of truth, is come, he will guide you into all truth: for he shall not speak of himself; but whatsoever he shall hear, that shall he speak: and he will show you things to come. He shall glorify me: for he shall receive of mine, and shall show it unto you. The Holy Spirit is also our intercessor when we don’t know how to pray, He will pray through us because He knows the mind and will of Christ. When the People of Israel needed a deliverer, the Holy Spirit came upon Othniel to judge Israel and bring about a victory. Many times we don’t know which direction to take, but discernment is ours if we will listen to the Holy Spirit. He is an inward witness and guide to reveal truth to us. We are a three part being, Our Spirit is the portion of us that becomes born again and we touch God with our Spirit. We live in a body, and our soul is our Mind, Will and Emotions. Our stubborn will, our emotions and our thinking give us a lot of trouble at times. Our soul needs to be renewed by the washing of the water of the Word. God’s word will assist us to change our thinking to be aligned with the heart of God. It is important to read and study the Bible and to allow our mind to assimilate and consider how this applies to our spirit. Matthew 12:31-33 contains verses about the unforgivable sin against the Holy Spirit. Just prior to these verses, Jesus had been ministering and performing miracles. The Scribes and Pharisees accused Jesus of doing the works of miracles by the power of Satan. Jesus hit these religious leaders hard by declaring they were on dangerous ground to make such statements about what the Holy Spirit was accomplishing. They were in essence blaspheming against the Holy Ghost with their accusations. There are some who struggle over this verse and wonder if they have committed this unpardonable sin. Satan would like nothing more than to keep people laboring under that misconception. If they are still alive – they have NOT committed this sin. We know God can and will forgive any sin and He is merciful and ready to forgive, so what sin would not be forgiven??? As we ponder and consider this question, and find a sinner on their death bed - - one who refuses to accept Jesus as their savior - - and they die; what happens to them? Notice they refused forgiveness, so they are not forgiven and now it is too late for them. Death is the dividing factor - - it is important to receive Jesus and have your sins under the blood while in this life. None of us have a promise of tomorrow, so prepare now to be ready. Congratulations on your soon to be marriage. Please allow your grandmother to give some sound words of advice. 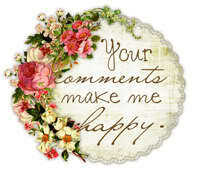 In a marriage there will be times that a difference of opinion may cause anger and strife. The main thing is to settle it quickly and allow the man to have the final say. Be quick to apologize when you are wrong and use the words, “I am sorry, please forgive me!” It is also good to daily use the words, “I love you;” as they will go a long way to a calm and peaceful home. Never go to bed angry, but make peace before the sun goes down! Never embarrass the other person in front of others. Always show respect to each other with common courtesy. Watch your words about each other to your friends. Some things are between the two of you and should not be shared with family or friends. Hold hands often and kiss daily as you love one another and all will be well. Do keep Jesus as the unseen guest in your home. “Our service this morning has been unusual and some of you may be processing what is going on. Included in our worship, we have enjoyed exhortation, prophesy, and a testimony from the body. I have been praying for skilled workers that are ready to step in and work in our church. I believe God will do the same thing with Children’s workers to encourage our children to operate in the Holy Spirit in their own element. We desire to raise our children to become spiritual soldiers. Agree with me for Children’s workers. Also I am praying for ministry gifts to be abundant and flow through our congregation to heal, deliver and set the captives free. As we are in one accord our church and our city will be all to the glory of God. Thank you for being here today. It is important that God be in control as it is His show and not mine. Be alert for God to use you and be obedient for what He asks. 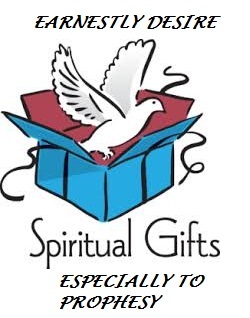 We will continue speaking about the gifts of the Holy Spirit from 1 Corinthians 14. Paul is saying all the gifts operating in Love are important, but especially to prophesy. I Corinthians 14: 1. Follow after love; yet desire earnestly spiritual gifts, but rather that ye may prophesy. In the church service, if one gives a tongue utterance without the interpretation it does not edify. Paul does say that praying in tongues will build up the believer and equip them to be ready to prophesy or minister in the other gifts. Paul wishes that all did speak with tongues, but in a meeting that they rather prophesy. For those who attempt to minister in prophesy without first being built up will be as the clanging cymbal. As you pray in tongues privately or during worship, you will be able to build up yourself before you prophesy. You can’t pray in tongues too much, but remember when you desire to edify others especially in a church setting, it is best done with prophesy. Jude challenges us to build up yourself praying in the Holy Spirit. Jude was not speaking of the gift of tongues in a meeting, but rather personal prayer using your prayer language. This is how you become empowered in the Holy Spirit. When you begin to minister, you will need to use your normal language. Paul was not downplaying tongues, but was showing his preference because prophesies will encourage and edify others. 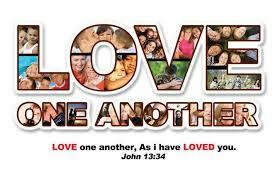 We have the answer for a change in lives as we speak in love and challenge others to follow Christ Jesus. When Jesus cursed the fig tree, it was a teaching example of the power of words and speaking with boldness. As prophesy goes forth, life will come to the dry bones. Prophesy of God’s goodness, His kindness and mercy and willingness to forgive and restore. Prophesy and speak LIFE into people. We might consider our city as a valley of dry bones; Many of our citizens have no life (no spiritual life.) No hope and they are attempting on their own to fill up the void and bring forth life – but it is not working. It is time to prophesy over our city, over our church, over our families and our neighborhoods - - for life to come where there is none. No longer shall death reign. Some churches you walk in and the people are miserable. They need the life giving power of the Holy Spirit. Of ourselves we can’t do anything, we must first build yourself up by praying in tongues in the Spirit, then we will be ready to prophesy. Not because we have to but because we get to. I understand what the Doctor says, and what society says, but I am here to declare that the Holy Spirit can bring lasting change, healing and deliverance. Be careful when you prophesy, to first built yourself up. To be built up in the Holy Ghost is more important than some believe, otherwise your words will fall flat and deflate instead of bring life. So what is in the ‘know how” to prevent burn out and discouragement? First build up yourself by praying in the Holy Spirit before you go out to minister. 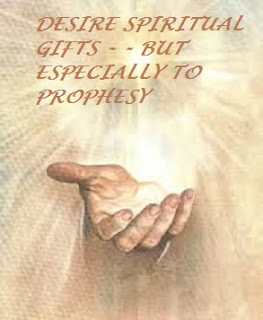 Yes, desire spiritual gifts to be used in love and bring life, and especially to prophesy. Rick Joyner gives a short review of this amazing woman minister, Maria Woodworth-Etter. The short list of extraordinary Christians should include Maria Woodworth-Etter. Her radical obedience to Christ challenged some of the most powerful religious prejudices and traditions of her day. She did this not by preaching against them, but by demonstrating their folly through her powerful Christian life. While leading countless multitudes to Christ, she redefined evangelism for the modern age. This positioned the advancing church for the biggest ingathering of new believers of all time. Born and raised in New Lisbon, Ohio to a non-Christian family, Maria was ten years old when her parents experienced a change and joined a Disciples of Christ church. It was there that Maria first learned about Christ and the Christian faith. Tragedy struck the family three years later when her father died from severe sunstroke. Left alone with eight children, Maria’s mother worked to support the struggling family with the help of the older children. Around this time, Maria was born again at the age of thirteen. Immediately, Maria heard God’s call to “go to the highways and hedges to call the lost sheep.” She responded by dedicating her life to serving the Lord, but the Disciples movement she had met the Lord through did not allow women in ministry. This was disconcerting and eventually caused her to consider marriage so that she and her husband could serve the Lord as missionaries. In 1863, at age nineteen, she married Philo Harris Woodworth. Maria and Woodworth’s marriage was also tragic. They tried to farm but failed, and five of their six children died at young ages, a hard trial for any parent to endure. This left only their oldest, Elizabeth. Then Maria was asked to speak at a Friends meeting. When she got up to speak, she had a vision of how close the people were to the edge of hell yet they did not know it. This profoundly moved her. Later as she pondered this vision, she contemplated studying to prepare for the ministry. God then gave Maria a vision in which He told her that souls were perishing and she did not have time for the preparation she wanted to pursue. After this, Maria felt burdened for the lost day and night. She decided to hold meetings in her local area, and the Lord moved in such a great way that many repented and turned to Him. Two churches were born out of these meetings, and Maria and her husband began a traveling ministry. Her reputation spread as the Lord moved powerfully wherever she ministered. During this time, Maria felt the Lord calling her to pray for the sick, but she was reticent because she thought it might distract from her evangelistic message. The Lord appeared to her again in a vision and assured her that when she prayed for the sick, even more would be saved. She obeyed and the results were spectacular. Soon as many as twenty-five thousand gathered for her meetings. Controversy tends to follow such remarkable success either because of religious jealousy or “old wineskins” that are incapable of accepting something new or different. In Maria’s case, it was not just the religious community that attacked her, but the secular community as well. In Massachusetts, Maria was arrested for claiming to heal people, but so many witnesses came forward that they had to release her. Then local psychiatrists filed charges that she was delusional because she claimed to see visions. Just as Jesus Himself was continually challenged, criticized, and attacked by adversaries, those who follow Him endure the same. With Maria these attacks were especially vicious, but she persevered relentlessly. In 1890, a man prophesied the coming of an earthquake and tidal wave to San Francisco in April. As is typical with prophecy, those who heard assumed it referred to April of that year, but the month passed without an earthquake. The man was arrested, which further maligned Maria’s ministry. Sixteen years later the earthquake came in April 1906, and many felt the vision was vindicated. Even so, it was obviously mishandled, and Maria’s critics used it against her. The pressure of the ministry also hurt Maria’s marriage. In 1891, she and Woodworth divorced due to his infidelity. Woodworth threatened to write a book critical of her ministry if Maria did not pay him alimony, but he died within the year. In 1902, Maria met and married Samuel Etter. Maria’s denomination struggled with what happened in her meetings, especially the way some “swooned” during them. This was later called “being slain in the Spirit.” This phenomenon happened in revivals and awakenings for centuries, but no one adequately understood it at that time. However, those who experienced it claimed to have had remarkable experiences with the Lord and were profoundly changed. Even so, the denominational authorities pressured Maria to stop the people from swooning in her meetings. She did not start or even necessarily want them in her meetings, but neither did she know how to stop them. Then denominational authorities demanded that she discontinue the gatherings. She refused and lost her credentials. In August of 1914, Samuel Etter passed away after a long illness just as World War I began. The strain on Maria from not seeing her husband healed and taking care of him while keeping a ministry schedule that had her speaking three times a day wore her down. She became sick herself. At sixty-seven she was ready to go home to her Lord. Then she had another vision in which the Lord showed Himself as the conqueror of sickness and death, and that her time was not up. Soon she was well and back on the road, preaching the gospel and healing the sick with renewed vision. In 1918, she started a church in Indianapolis that she used as a conference center and a base from which to travel. In 1924, Maria Woodworth-Etter ended her course. 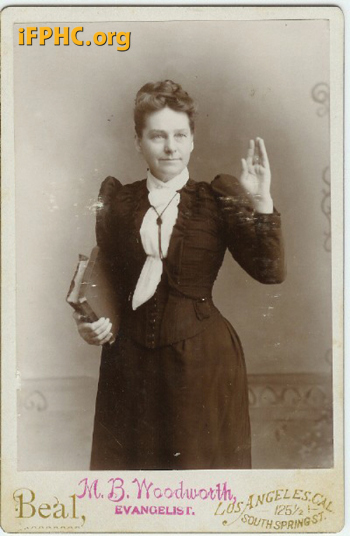 She has been rightly honored not only as a great woman evangelist, but one of the greatest evangelists of all time. Wednesdays edited lesson as we met to pray over our city. May our Citizens have understanding and a tender heart to seek God's will for their lives. Gideon in the Bible, did not believe the Angel who told him that he was to deliver the Children of Israel. Judges chapter 6: To make sure this was true; he required several tests to be on the safe side. He asked God to cause dew to be on the fleece but the ground dry. When his request was answered, he then asked again, this time reversing the dew to wet the ground but not the fleece. Again God answered his appeal. You would think that was enough, but no he was afraid and needed more confirmation, so God allowed him to over hear the enemy talking in their tent. Perhaps you have used a fleece or test to find God’s will - - I know I have many times. Many years ago, I sat next to a young man in Bible School, who was confused about a girl he seemed committed to and his feelings for my daughter. He confided in me that when he arrived in Broken Arrow, he told God, the first girl who speaks to me is the one I am supposed to marry. This could be a good or a bad thing, and was probably foolish, but a young girl the daughter of a Pastor was the first girl to speak to him. He took my daughter out on a date, and gave her an interview with tough questions. She needed a friend, but was not interested in marrying a preacher, so that was his answer. It turned out he married the girl in question, a powerful preacher in her own right and they have a thriving church in The Bay Area, California. In the Old Testament the priest carried the Urim and Thummin over their heart on the breast plate. This was so they could hear from the Heart of God. From Bruce Waltke’s excellent book (which I highly recommend), entitled, “Finding the Will of God” (pp. 62-64): “The priest could use the urim and thummin to determine God’s will in a particular situation. We are not exactly sure what the urim and thummin were, but the priest carried in his breastplate perhaps two sticks or stones, one white and the other black, that would give a yes or no answer to a specific question. In the New Testament prior to the day of Pentecost we find Peter and the others drawing straws or casting lots to determine who should replace Judas as one of the 12 disciples. 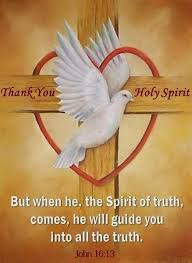 After Pentecost God gave us The Holy Spirit to be our guide; as well as our Bible. God has also given us Spiritual Gifts at times to reveal God’s will in certain matters. The gift of Word of Knowledge and Word of Wisdom along with Prophesy. You have probably opened your Bible at times and had a scripture pop out at you with direction just when you needed it. It is not a good thing to randomly open your Bible and hope for guidance. It is better to pray and wait on God for answers. We still do it, we ask God to show us with a fleece, and although this is not wrong, it would be best if we practiced being led of the Holy Spirit. (Pastor's cell phone rings. And he lets it go to message and remarks.) Even though God is not the author of confusion, sometimes things pull us aside trying to get our attention. Our relationship with God must be maintained. We must follow what God is saying about our city. Isaiah 62:4 It will no longer be said of you, "Forsaken," Nor of your land will it any longer be said, "Desolate"; But you will be called, "My delight is in her." God desires to pour out the Holy Spirit upon our City, with power and the gifts of the Holy Spirit. Be bold and courageous and not worried about what others say or believe. God will be God regardless of what we believe. God is doing great things outside our walls. All must be done in love. Pastor read from, 1 Corinthians chapter 13 (the Love chapter.) We must operate in love as we allow the gifts to be manifested through us or we become a clanging cymbal. Chapter 14 challenges us to follow after love, but desire spiritual gifts especially that you may prophesy. Luke 10:30 tells us the story of “the good Samaritan.” A certain man fell among thieves and was left hurt, bleeding and half dead. Passing by were a Priest and a Levite both looked at the poor man but passed on leaving him there. Then along came a Samaritan who had compassion on him, binding up his wounds and carrying him to an inn to care for him. It is not always easy to face some people, but we are to love others as Christ does. We often think, God’s love is not fair. Why are some blessed more than me? Do not harbor jealousy, but allow God to bless others and you will be blessed. 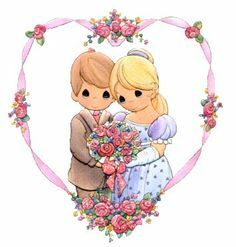 When you were a young child you got away with some stuff, just because you were young, but as we mature and grow, God expects better things from us. Such as to love your neighbor. You are welcome here no matter where you live; be it a palace or the River Bed. When I arrive at church each Sunday morning, the homeless are waiting for the coffee and donuts. The neighbors worry about vandalism, and we pray protection for our neighbors. If you are frustrated about some things, I must admit that I too am frustrated about things, however God requires us to love. 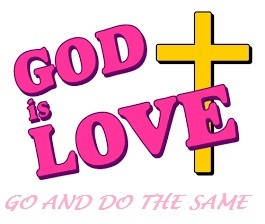 Love God and love people. There are so many poor, and I am reminded that Jesus said, “The poor are always with you.” Regardless each of us can show love for who ever comes our way perhaps one person at a time. This is the only way we can experience “Revival,’ is to Love God and love one another. We show them our faith by our love. From our visit to Israel, I shared this experience at our meeting as we prayed over our city. Preparing for our visit to Israel, my daughter Becky told me to go the Big 5 sports store and purchase some shoes to walk on the water. (Not like Jesus did but so to not ruin my good shoes as we entered Hezekiah’s water shaft.) My son-in-law Dennis gave me a head band flashlight to wear as we knew it would be dark inside. Some of our group stayed behind but I and most of our members wanted to walk this tunnel of water. Rolling up our pants legs as high as we could, we were ready to enter like Joab did. At first the water was ankle deep, and almost immediately we were almost up to our hips in water. I was reminded of the Prophets vision in Ezekiel 4 of Spiritual water and how we must continue on from water around our ankles to hip deep, then to waist deep and finally to swim in the living water. However we did not swim in the tunnel because soon the water was again ankle deep. There were low places we had to watch our head, and the walls were close and of course it was pitch black dark, but on we went. Laurel my granddaughter’s mother-in-law was ahead of me and I kept tabs on her and she on me. Michael her husband was behind me and we watched for low spots for our feet and warned the others. The hike was the distance of 1748.68766 Feet and was a gradual descent to the pool of Siloam. The tunnel was a highlight of the tour, and I would not have missed it for anything. Begin the decent at the far right and end at the Pool of Siloam. 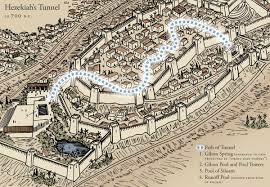 According to 2 Chronicles 32:2–4 and 2 Kings 20:20, this tunnel was dug during the reign of King Hezekiah of Judah to prepare Jerusalem for the imminent attack of the Assyrian king, Sennacherib. 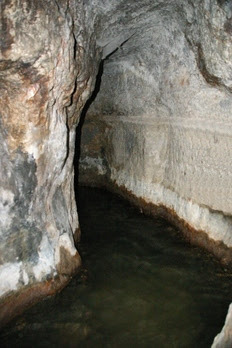 It connects the Gihon Spring—Jerusalem’s fresh water supply—with the Pool of Siloam. This tunnel may be the Jebusite Water Shaft used by Joab when David defeated the Jebusites and Conquered Jerusalem. They thought, “David cannot get in here.” Nevertheless, David captured the fortress of Zion—which is the City of David. And David said on that day, Whosoever gets up the water shaft, and strikes the Jebusites, and the lame and the blind, that are hated of David's soul, he shall be chief and captain. Therefore they said, The blind and the lame shall not come into the house. 1. 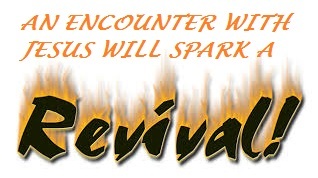 How does an encounter with Jesus spark a Revival? Reading from John chapter 4: 1-42 we find the story of Jesus leaving Judea and departing again into Galilee. As he traveled, it was important to him to go through Samaria. Now the shortest route from Judea to Galilee was through Samaria, but it was not the only way. Another longer way was through Perea, east of the Jordan River. In Jesus’ day, the Jews hated the Samaritans so they normally took the long route to avoid Samaria so they did not have to associate with them. Jesus chose this short route to witness to the people of Samaria. Jesus desired to reach out to these despised outcasts of mixed Jewish and Gentile ancestry. John 4:5-7 Then He comes to a city of Samaria, which is called Sychar, near to the parcel of ground that Jacob gave to his son Joseph. Now Jacob's well was there. Jesus therefore, being wearied with his journey, sat thus on the well: and it was about the sixth hour. There came a woman of Samaria to draw water: Jesus said unto her, Give me to drink. By speaking to this Samaritan woman, Jesus proved He was different from any other teacher. He was concerned about people, not about rules made up by men. The woman questioned why Jesus would even speak to her let alone request that she give him drink. Jewish culture in those days was to avoid the Samaritans, and especially a woman of her background. In verse 10, 14 Jesus answered and said unto her, If thou knew the gift of God, and who it is that saith to thee, Give me to drink; thou would have asked of him, and he would have given thee living water. Whosoever drinks of this water shall thirst again: But whosoever drinks of the water that I shall give him shall never thirst; but the water that I shall give him shall be in him a well of water springing up into everlasting life. Jesus began to tell her things about her life and she immediately recognized Him as a Prophet. Verse 25-26 The woman saith unto him, I know that Messiah cometh, which is called Christ: when he is come, he will tell us all things. Jesus saith unto her, I that speak unto thee am He. Jesus declares to her that He is the Messiah, and she runs to tell her village all that has happened. Soon she returns bringing with her many of the men from the city: Jesus offers “Living Water” to the entire city and stays two days teaching and ministering. And said unto the woman, Now we believe, not because of thy saying: for we have heard him ourselves, and know that this is indeed the Christ, the Savior of the world. Now after two days he departed thence, and went into Galilee. The Living Water of Life flows from the throne of God, both literally and spiritually. The Tree of Life is also there with it multiplicity of fruit. Revelations 22:1-2 And he showed me a pure river of water of life, clear as crystal, proceeding out of the throne of God and of the Lamb. In the midst of the street of it, and on either side of the river, was there the tree of life, which bare twelve manner of fruits, and yielded her fruit every month: and the leaves of the tree were for the healing of the nations. The disciples did not understand as they were zeroed in on natural things and not things of the spirit. Later they remembered what Jesus had taught and the things written of Him in the Scriptures. Their hearts burned within them as they encountered the Living Christ. The Samaritan woman could not receive “Living Water” from the physical well, she needed an encounter with Jesus. Then revival broke out from her testimony. 1 John 5:6-8 This is he that came by water and blood, even Jesus Christ; not by water only, but by water and blood. And it is the Spirit that bear witness, because the Spirit is truth. For there are three that bear record in heaven, the Father, the Word, and the Holy Ghost: and these three are one. And there are three that bear witness in earth, the spirit, and the water, and the blood: and these three agree in one. My Message as we came to pray over our city was to realize Jesus is the Lamb of God; and the citizens of our city, State and Nation need Jesus. I just returned from Israel and during our tour of Israel, our guide pointed out the many arches and gates throughout the land; Especially in Jerusalem there were many. Our guide took us to the temple site, and showed us the sheep gate where the lambs were brought in to the temple for sacrifice. He indicated that Jesus may have entered Jerusalem at His triumphant entry through the sheep gate signifying spiritually that He was the Lamb soon to be slain, as the sacrifice for our sins. As I researched, I found the following interesting: Nehemiah in chapter 2 inspects and desires to rebuilt the broken walls of Jerusalem: “And I went out by night by the gate of the valley, even before the dragon well, and to the dung port, and viewed the walls of Jerusalem, which were broken down, and the gates thereof were consumed with fire. Nehemiah 3: 1 Then Eliashib the high priest rose up with his brothers the priests, and they built the Sheep Gate. They consecrated it and set its doors. They consecrated it as far as the Tower of the Hundred, as far as the Tower of Hananel. The high priest Eliashib with his brethren, and priests built the Sheep Gate and set up its doors. This is the first gate mentioned, of the many gates on the walls of Jerusalem. 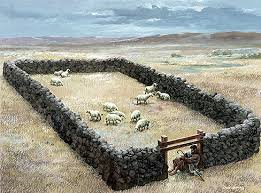 The spiritual meaning of the Sheep Gate is that the high priest was building it and that through the Sheep Gate lambs and sheep were brought to the temple, where they were offered. The Lord and the Messiah (Christ) Jesus (Yeshua) is the High Priest of New Covenant, who is the Lamb, who was offered for the sake of our sins. Spiritual meaning of Sheep Gate is death and offering the Lamb (the Lord Jesus), which death, blood and resurrection bring us forgiveness of sins and redemption. The high priest was setting up the doors of the Sheep Gate, which means that He is the Door of the sheep. Through the Lord Jesus a man will be saved from the power of death-, sin and eternal damnation to eternal life. "Then he brought me back the way of the gate of the outward sanctuary which looked toward the east; and it was shut. Then said the LORD unto me; This gate shall be shut, it shall not be opened, and no man shall enter in by it; because the LORD, the God of Israel, hath entered in by it, therefore it shall be shut. It is for the prince; the prince, he shall sit in it to eat bread before the LORD; he shall enter by the way of the porch of that gate, and shall go out by the way of the same.” - Ezekiel 44:1-3. 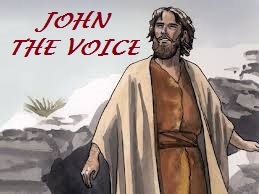 John referred to Jesus as the “Lamb of God,” who takes away the sins of the world. Jesus spoke of himself being the “Door” John 10:9 I AM the door (gate); whosoever enters in by me shall be saved and shall go in and out and find pasture. Robert and I both had filed a form to DO NOT Resuscitate in case of pending death and a copy was with Kaiser. My thoughts were elsewhere on that early morning of April 14, 2017. However my husband was dying and I found him on the floor, head bleeding and I called 911 not really thinking about any forms DNR. 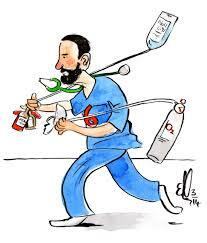 IF only I had the form ready, to give to the 911 team - - it would have prevented this large ER charge.) So he was carried away with the 911 team without the form. Of course ER at Enloe Hospital they hooked him up immediately to an IV, took ex-rays of his head, put something down his throat, so he could breathe and who knows what else they did to rack up a bill of $76,826.64 in less than one hour. Yes he did lay dead on their table another couple of hours as we waited for the mortuary to come take him away. Of course I was appreciative of the concern of the Doctor and nurses and after a few weeks when I received small bills, I figured they were like co-pay and not covered by our Kaiser Health Insurance so I paid Enloe about $600. in various small charges they kept mailing to me. It has been 6 months since my Robert passed away, and yesterday I was shocked to receive a bill for $4823.25 which they say is my part of the $76,826.64 after my payments and Insurance covering $71,928.39 of the “CARE” given to my dying Husband. I phoned Enloe and left a message requesting that they cancel this bill because there is no estate for my husband. Before Enloe called me back I received a phone call from “Ascension Point” demanding payment for Robert’s outstanding bill. The conversation was recorded. I told the woman, my husband has no estate and I am not responsible for his bill, and I am requesting Enloe Hospital to void the balance. I told the woman from Ascension Point that two days ago I received a letter from Ascension Point telling me I am not responsible for my husband’s debt, because he has no estate. She hesitated, but ended the call. . I discovered that Ascension Point is a “Collection Agency;” after me even before I got the huge bill. I called Enloe and spoke to Kimberly. She informed me that Kaiser returned the request for payment and that Enloe needed my help with Medicare. She gave me a phone number to call: “Medicare benefits recovery center:” Dial 1-800-999-1118 press 2 then 1 (which didn’t work – so I pressed 3) then 0 and spoke to a nice man, Jared Stremel who requested I send him Robert’s death certificate and SS number to PO Box 138832 Oklahoma City, OK 73113. Jared said it will take 2 or 3 weeks. I told him I had been requested to call Enloe back and relay what he had told me. Not a problem. I called Enloe and left a message with all the information from Jared. Kimberly called me back and said they will bill Medicare and not to worry about the bill I received from them. This may not be over !! !